After days of teasing, DC Films and Warner Bros. yesterday released the first full trailer for Justice League. The film follows the events of Batman v Superman: Dawn of Justice as Batman (Ben Affleck) assembles a team of heroes – Wonder Woman (Gal Gadot), Cyborg (Ray Fisher), Aquaman (Jason Momoa), and The Flash (Ezra Miller) – to defend the Earth from an alien threat. Fans know that the threat in question is an incursion by the armies of Apokolips led by Steppenwolf (Ciarán Hinds), agent of the cosmic tyrant Darkseid. Batman, however, is only working off of the premonitions he sees in his dreams and warning from the future brought to him by The Flash. Batman’s vision of the future, which is often referred to as the “Knightmare,” involved the Dark Knight leading a resistance movement against Superman, who had apparently become a global despot. It would have seemed that future was averted when Superman died fighting Doomsday in Batman v Superman: Dawn of Justice, but there’s a small nod towards the Knightmare in the Justice League trailer. The reference comes early in the trailer, while Batman is making the journey to a remote settlement in search of Aquaman. As Batman comes to the top of a mountain, he removes his goggles and face covering. As fans on Reddit have pointed out, these are very similar goggles and covering to what Knightmare Batman wore in Batman v Superman: Dawn of Justice, and there’s a certain mirror image quality to the shots when juxtaposed. It’s unclear what this means for the future of the DC Extended Universe. Batman simply having these items is proof of nothing. It is, however, interesting that director Zack Snyder chose to use these items again in Justice League, and even in the Justice League trailer, knowing their significance. That’s no coincidence. Snyder is deliberately reminding fans of the dark future that may be ahead for the DCEU, but whether it is simply meant as a reminder of why Batman is assembling the Justice League or foreshadowing that some futures simply can’t be avoided remains to be seen. Justice league currently has a 4.13 out of 5 ComicBook User Anticipation Rating, making it the fifth most anticipated upcoming comic book movie among ComicBook.com users. Let us know how excited you are for Justice League after seeing the trailer by giving it your own anticipation rating below. 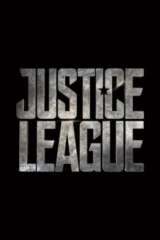 Justice League is directed by Zack Snyder, from a screenplay by Chris Terrio, based on a story by Snyder and Terrio, and stars Ben Affleck, Henry Cavill, Amy Adams, Gal Gadot, Jason Momoa, Ezra Miller, Ray Fisher, Willem Dafoe, Jesse Eisenberg, Jeremy Irons, Diane Lane, Connie Nielsen and J. K. Simmons.